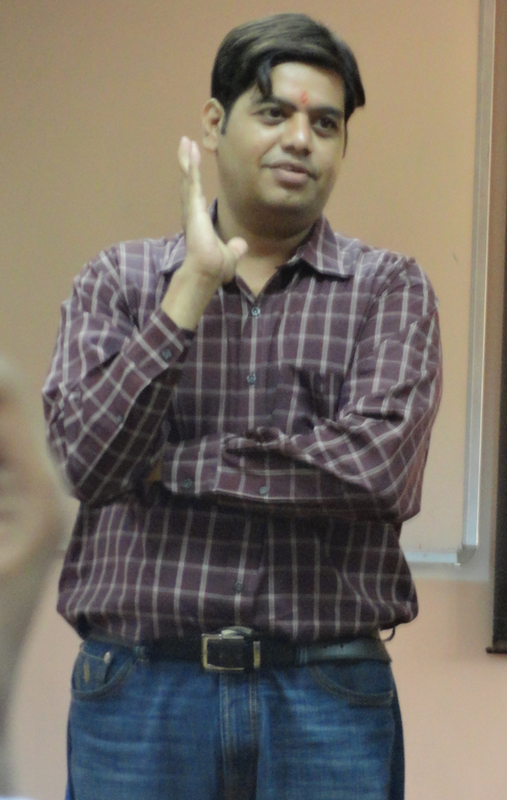 DoMS NIT-T was enriched with an amazing experience when the students invited Mr.Sreedhar T.K. , Chief Managing Director of Novellsys Technologies Pvt. Ltd.
A guest lecture on “Information Management” was delivered by Mr.Sreedhar who is also a board member of Aditya Trading Solutions. His experiences in various industries and the related knowledge were shared in the class. Mr.Sreedhar in his own style touched upon the functioning of different sections of business where management of information system plays a huge role . His excerpts made us realize when and how useful data turns into information for a manager to take informed decisions. Students from DoMS participated enthusiastically and also benefited out of the interactive session. A vote of thanks was given by Mr. Gautham Nair.The overall experience was indeed fantastic where we learnt how to analyze, crunch and understand the informative data. Congrats to all those who have got a call for GD/PI. The centre for Delhi has been changed to DoMS-IIT Delhi. This is in front of the past address,Shri Lal Bahadur Shastri Rashtriya Vidyapeetha.